December 4th's treat is one of my favorite sweets of all time. Go to any bridal shower in the south and you're likely to find buttermints on the reception tables. It's tradition, but I don't limit them to showers. I make them for all kinds of occasions! They're cute and petite with a mighty sweet punch. At Christmastime I flavor them with vanilla and almond extracts, which gives them a sugar cookie flavor. The candy dough takes about 5 minutes to put together (it's no-cook/no-bake! ), and it can be tinted any merry and bright color you choose. The dough can be molded into bonbon shapes using a candy mold, or make them into patties by rolling marble-sized pieces and flattening them with the tines of a fork. 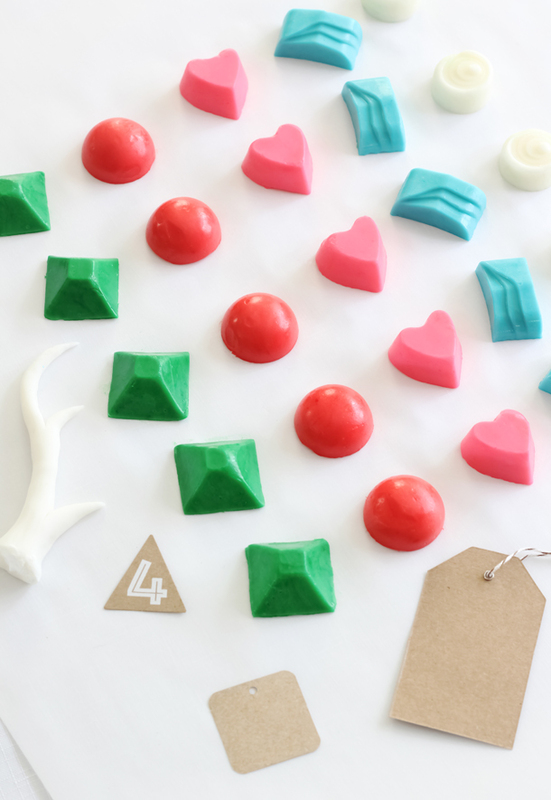 I used this silicone mold to form them into various shapes. 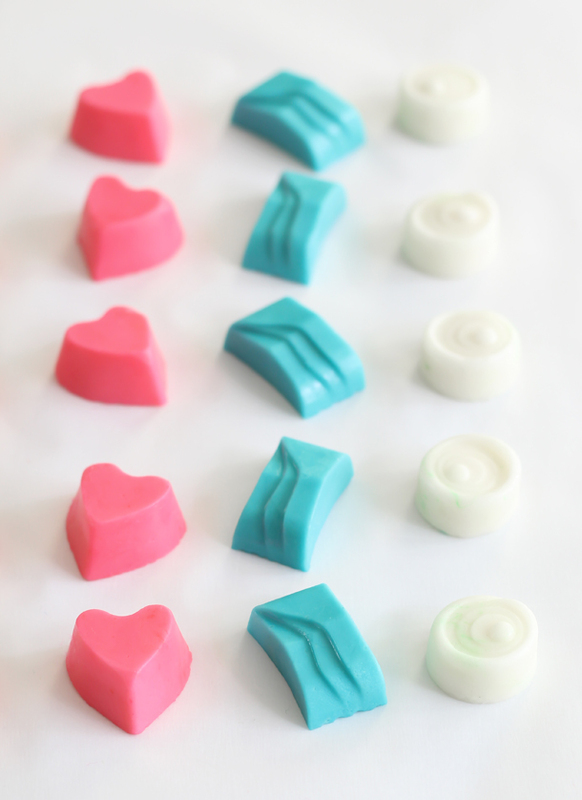 After filling the mold with candy, just pop it into the freezer, and when the candies are firm, pop them out from the bottom-up. So easy and über cute! I don't know which ones I like best. Maybe the red ones because they remind me of Rudolph's nose. These look nice placed individually in frilly candy papers. I like to package them in boxes decorated with washi tape, but they look pretty in cellophane bags tied with ribbon, too. If you make them with real butter then they'll need to be refrigerated. You can make them with margarine instead and they'll keep at room temperature for up to a week. Using an electric mixer, blend together the butter or margarine, corn syrup, salt and flavorings in a large mixing bowl. Add the sugar and mix until smooth. The dough should not be sticky; add additional powdered sugar if the dough sticks to your hands. 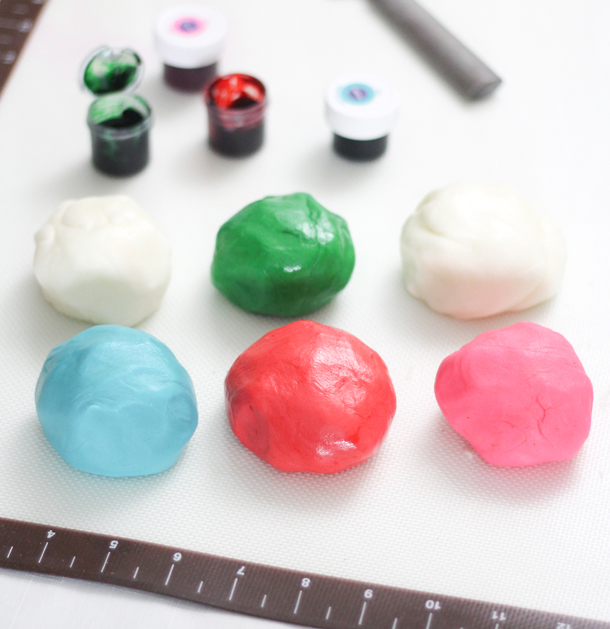 Divide the dough and tint with gel food color as desired. The dough can be molded into bonbon shapes using a candy mold, or make them into patties by rolling marble-sized pieces and flattening them with the tines of a fork. 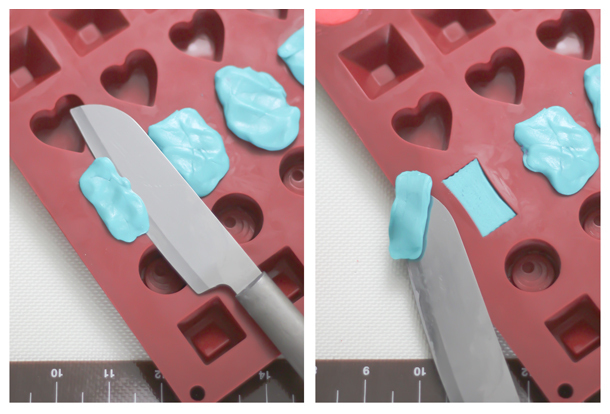 If using a silicone mold, press the dough into the cavities and level the tops with a knife. Transfer the mold to the freezer and chill for 1 hour. Pop the shapes out from the bottom while still firm. 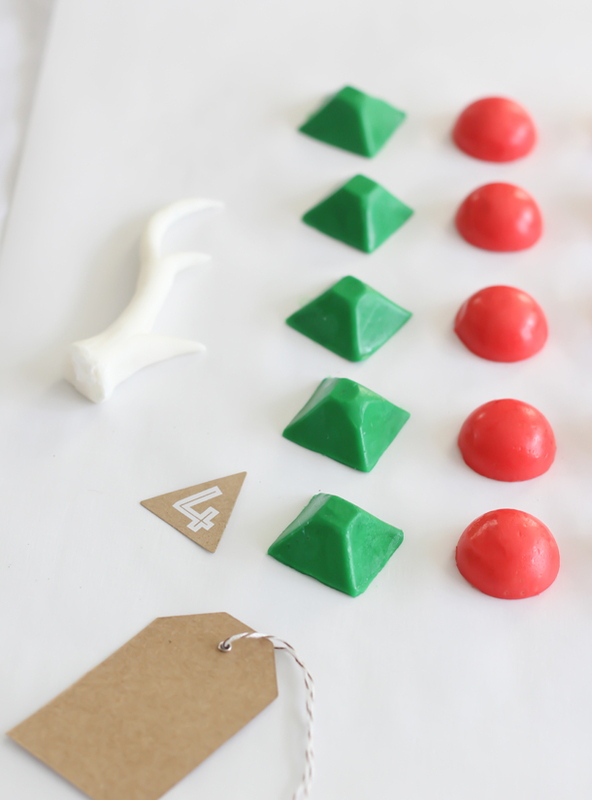 Place the shaped mints in candy papers and let them come to room temperature. Note: If you make the mints with real butter then they'll need to be kept refrigerated. You can make them with margarine instead and they'll keep at room temperature for up to a week. 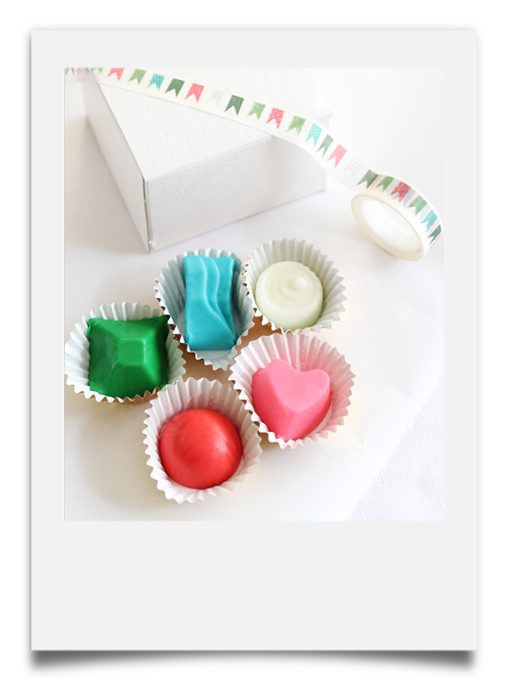 Such pretty little candies! They sound delicious...a great gift I imagine! I love their shapes and colours! Very pretty! Can I add lori-ann oils to switch up the flavors?